There are some exciting changes coming to the Arena in the upcoming 10.4 update! Watch the video below to get the full details on the update from Lead Systems Designer Kris Zierhut. 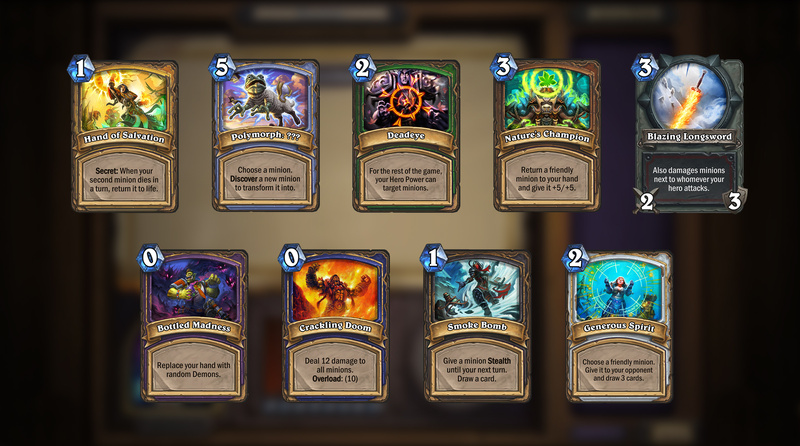 Each Arena pick in a draft will feature three cards of relatively equal power level, but different rarities. Picks one, 10, 20, and 30 will continue to have a guaranteed Rare quality card or better. The increased chance to see cards from the most recent expansion has been temporarily disabled in Update 10.4. Last year BlizzCon attendees helped us choose new class cards which will be added to Arena in Update 10.4 for a limited time. For more details check out the full BlizzCon 2017 Arena Panel. Other existing Arena rules in place that affect appearance rates are unchanged. What are your thoughts on the upcoming Arena changes? Let us know in the comments below!